Today is World Oceans Day, so it might interest you to know that your skincare regime is probably adding gunk to the already toxic soup that flows through Malibu and beyond. Some of the most popular exfoliators contain micro-beads (tiny plastic particles), which are clogging up our city’s oceans and being ingested by marine life. These toxins are carried up the food chain and are landing on your dinner plate. 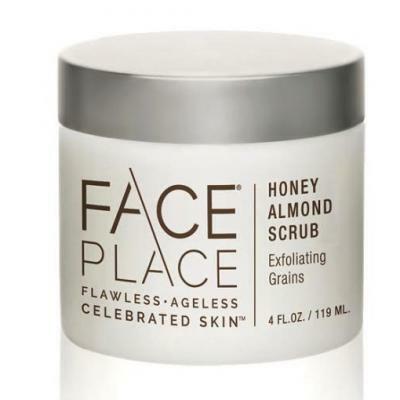 If a DIY recipe is too much of a hassle, you can still forego pampering with these dangerous plastic micro-beads by opting for a natural and safe scrub like the Honey Almond Scrub ($40) from the celeb-fave Face Place. Rene Russo uses it. And now so do I, thanks to the freshly pulverized fine almond and white corn meals that are blended together in a base of honey. The formulation is quite simple, but this combination really does promote healthy, glowing skin. For the face, mix a spot of water into a dollop of the scrub to buff skin. You can do so gently to create a creamier blend, which makes it perfect for sensitive faces too. If you want more grit on the legs and arms, use one or two scoops of the exfoliator without any added water to buff away dry, flaky skin. Millennial-Favorite Makeup Brand Glossier Is Finally Opening a Permanent Store in L.A.